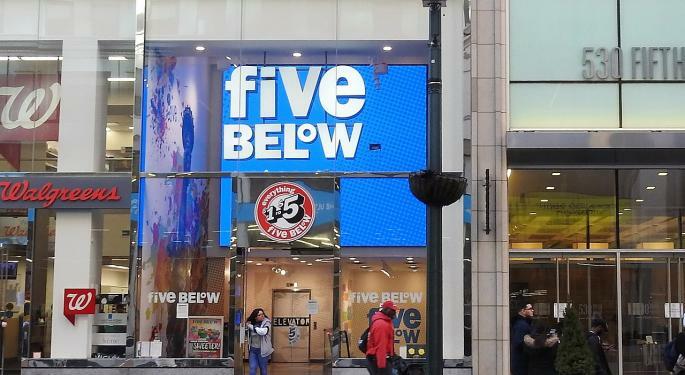 A value retailer that sells items for $5 or less, Five Below Inc (NASDAQ: FIVE) is expected to continue impressing the Street as the company succeeds in finding new ways to generate comp and earnings growth, according to Bank of America Merrill Lynch. David Buckley initiated coverage of Five Below with a Buy rating and $150 price target. Five Below's management team has earned a reputation of improving its product line through ongoing reinvestments, Buckley said in the Monday initiation note. The retailer's dedication to offering superior products has resulted in traffic gains and a consistent comp growth profile that's likely to continue growing by a mid-single digit rate through 2021, he said. Five Below appears set to beat its "20 & 20 through 2020" guidance issued in early 2016, the analyst said. The company guided at that time to average sales growth of 20 percent and net income growth of more than 20 percent through 2020 — and it appears to be on track to show a 22-percent compounded annual growth in sales through 2021 along with a 21-percent CAGR in earnings. 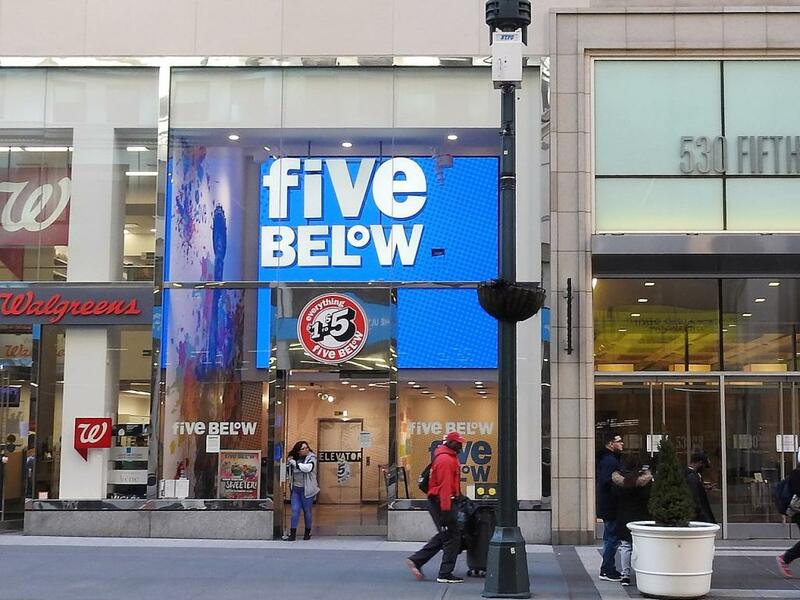 Five Below has plenty of room for growth ahead given its underpenetrated footprint, Buckley said. As of the end of fiscal 2018, Five Below stores totaled 750 locations in 33 states compared to the retailer's long-term guidance of 2,500 stores. Assuming the company hits its store footprint objective in nine years, total revenue can increase from an estimated $1.56 billion in 2019 to $6.2 billion, and EPS can improve from an estimated $2.66 per share in 2019 to more than $12, according to BofA. Five Below shares were trading down by 0.56 percent to $134.22 at the time of publication Monday. What's Next For Five Below?